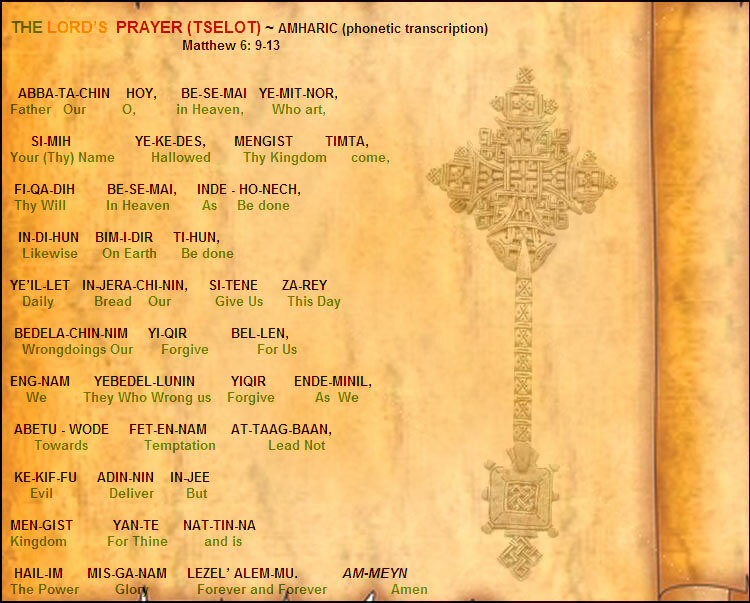 Here is the prayer Yahoshua HaMashiach (Iyesus Christ) taught us (Matthew 6:9). He said that God is his Abba/Father and our Father. Let Us pray with Gayta (Master) and with all faithful people everywhere.